It’s not like the Pirates deserved a 5-1 lead midway through last night’s game, and so it wasn’t entirely surprising when it disappeared. Two runs scored after a Brewer error helped to keep the 3rd inning alive. Two runs came in the 5th on a Jason Jaramillo double immediately after Eric Hinske and Andy LaRoche were hit by pitches. Paul Maholm didn’t have the same command that he had in his 3 wins this season. He walked 5 batters and gave up 7 hits over his 5.1 innings of work. Walks have been a problem in the last two games against the Brewers. Pirate pitchers have given up 17 walks in 16 innings (1.06 BB/Inn). Prior to this series, Pirate pitchers had given up 65 walks in 158 innings (0.41 BB/Inn). The Brewers walked just one batter last night. 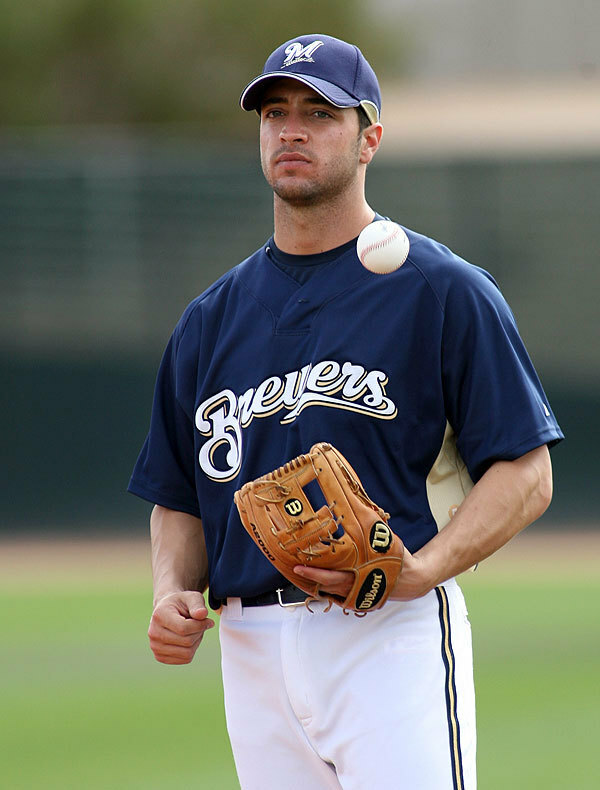 Last night, Brewers’ starter Dave Bush hit three Pirate batters (Freddy Sanchez in the 1st and Eric Hinske and Andy LaRoche in the 5th). There’s something to keep an eye on in the next 13 Brewers/Pirates matchups. The Pirates managed 7 hits last night, and they came from an unlikely crew: the RBI double by Jaramillo, Brian Bixler avenged his 4K night by going 2-4, Ramon Vazquez singled in his only at-bat, Eric Hinske had a 2 RBI double, and Brandon Moss and Freddy Sanchez added hits. If you’re keeping track at home, you can make that 17 consecutive losses at Miller Park for the Buccos. They try to reverse the trend at 1:05 today.